ONI Bureau: The Odisha Government has begun construction of 21 ‘Rental Housing Complex’ for construction workers in urban areas. Over 22 lakh construction workers have been registered so far. 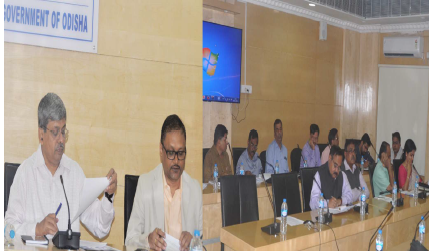 Following a discussion with District Collectors through video conferencing, Chief Secretary Aditya Prasad Padhi reviewed the progress of the work. He also directed the Collectors to expedite the process by creating more awareness among the beneficiaries. The review meeting found that over 22 lakh construction workers have been registered in the state. 9.99 lakh construction workers have received benefits as per the government scheme. Rs 562.90 crore funds have been sanctioned for it. The Government is constructing 21 Rental Housing Complex for construction workers staying in urban areas. They include Bhubaneswar (3), Cuttack (2), Berhampur (2), Rourkela (2), Sambalpur (2), Paradip (2), Jajpur Road (2), Jharsuguda (2), Angul (2) and Dhenkanal (2).